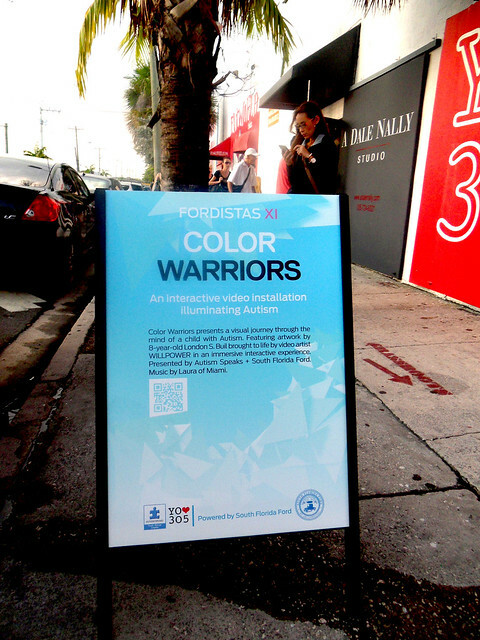 Created 2 Interactive Installations + 2 Projection Mappings for event: COLOR WARRIORS. I collaborated with 8-year-old London on the projection mappings. On one of them, I redrew one of this drawings on the wall and mapped it. For the other, I used colors from one of his paintings, and blasted them on the Tetrahedron Structure I built. 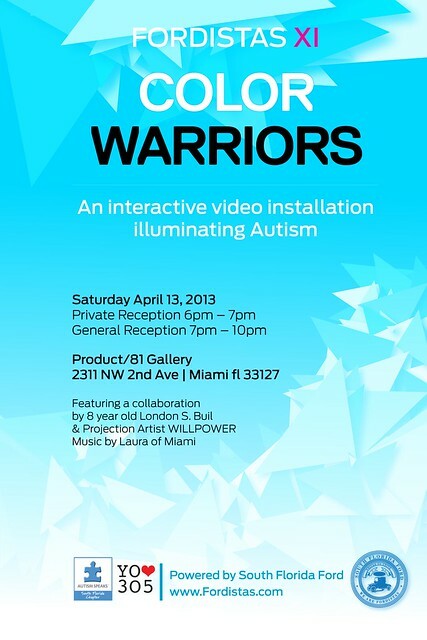 This event was created to raise awareness on Autism. London was diagnosed with Autism. He is one of the most enlightened beings I have ever met. 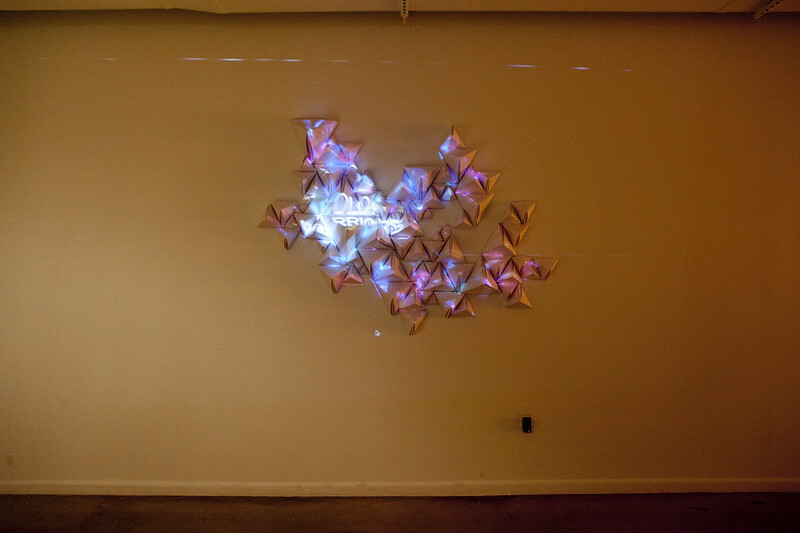 It happened at 'Yo Amo 305' Gallery in Miami's Art District. Sponsored by South Florida Ford + Autism Speaks. The joy was to see children interacting with the art and creating the art with their movements. It was magical. Adults expressing emotions through this experience made me realize that human interaction can be a profound experience. Special thanks to all those who played a part in this amazing co-creation ! Animation used to map wall drawing that was originally created by London.